Dr. Hakan Yaman is Professor and former Chairman of the Department of Family Medicine at the Faculty of Medicine, University of Akdeniz in Antalya, Turkey. He is specialized in Family Medicine and a clinical trainer. 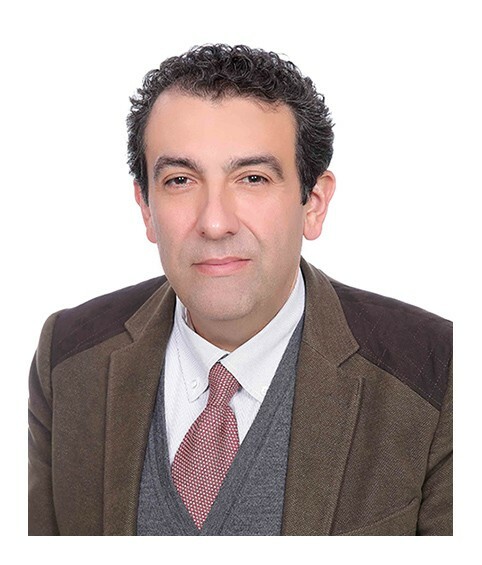 Dr. Yaman provides clinical services in outpatients clinics of Akdeniz University and his research interests are primarily focused on the preventive care of elderly people in Turkey. Dr. Hakan YAMAN has a strong background on travel medicine and injury prevention. He published articles on migration/tourist health in international peer-reviewed journals and gave lectures in international conferences (WONCA) on prevention of travel injuries and travel medicine in elderly tourists. He worked at different EU funded studies on injury prevention and safety promotion (EUropean NEtwork for Safety among Elderly (EUNESE) (Grant Agreement: 2003316): development and action planning for Injury Control and Safety Promotion among Senior Citizens by 27 organisations in 19 countries. EU Health and Consumer Protection Directorate-General. 2004-2008., Injury Prevention Working Party (IP-WP), DG Sanco, EC (Member) (Grant agreement no. 2003313), 2005-2007., Injury Database Pilot Implementation, DG Sanco, EC (Grant agreement no. 2005104), 2008. ), European Emergency Data-based System for Information on, Detection and Analysis of Risks and Threats to Health – SIDARTHa, Public Health Executive Agency, EC (Grant agreement no. 20072008), 2008-2011 and coordinated the establishment of the first WHO designated “Safe Community” in Turkey (Safe Community Kepez) in 2011. He co-authored the “WHO Age-Friendly PHC Toolkit” in 2008 and is promoting this toolkit in his academic work and worked on a pliot implementation of “Aging-Friendly City” in Döşemealtı, Antalya, Turkey in 2014. After serving almost 20 years at different Universities as an academician and Full-Professor, he works and teaches privately in Antalya. He is interested in complementary medicine and holds the certificates of acupuncture, phytotherapy, hirudotherapy, and Mesotherapy awarded by the Turkish Ministry of Health. He is a devoted scuba diver and holds a three star CMAS Brevet/Certificate and is a deputy trainer of the Turkish Sports for All Federation. Mental Health in Family Medicine, UK (Member of Editorial Board) 2008- 2015. WONCA, SIG Elderly Care, Convener 2008- 2015. WONCA Working Party of Mental Health, 2005-cont. Yaman H, Kut A, Yaman A, Ungan M. Health-Problems Among Un-Refugees At A Family Medical Center In Ankara/Turkey. Scandinavian Journal of Primary Health Care 2002;20:85-87. (SCI-Expanded) . Dobbs F, Soler JK, Sandholzer H, Yaman H, Petrazzuoli F, Peremans L, Van Royen P. The development of research capacity in Europe through research workshops--the EGPRN perspective. Fam Pract. 2009 Aug;26(4):331-4. Azevedo P, Correia de Sousa J, Bousquet J, Bugalho-Almeida A, Del Giacco SR, Demoly P, Haahtela T, Jacinto T, Garcia-Larsen V, van der Molen T, Morais-Almeida M, Nogueira-Silva L, Pereira AM, Rodríguez MR, Silva BG, Tsiligianni IG, Yaman H, Yawn B, Fonseca JA; WHO Collaborative Center for Asthma and Rhinitis,Montpellier. Control of Allergic Rhinitis and Asthma Test (CARAT): dissemination and applications in primary care. Prim Care Respir J. 2013 Mar;22(1):112-6. doi: 10.4104/pcrj.2013.00012. PubMed PMID: 23412110. Yaman A, Yaman H. Dementia Subtypes in Antalya, Turkey: A Retrospective Study. Postgraduate Medicine 2014; 125(5):109-112. Riederer P, Korczyn AD, Ali SS, Bajenaru O, Choi MS, Chopp M, Dermanovic-Dobrota V, Grünblatt E, Jellinger KA, Kamal MA, Kamal W, Leszek J, Sheldrick-Michel TM, Mushtaq G, Meglic B, Natovich R, Pirtosek Z, Rakusa M, Salkovic-Petrisic M, Schmidt R, Schmitt A, Sridhar GR, Vécsei L, Wojszel ZB, Yaman H, Zhang ZG, Cukierman-Yaffe T.The diabetic brain and cognition. J Neural Transm (Vienna). 2017 Nov;124(11):1431-1454. doi: 10.1007/s00702-017-1763-2. Epub 2017 Aug 1. Review. Yaman H. Exploring dementia management attitudes in primary care: a key informant survey to primary care physicians in 25 European countries. International Psychogeriatrics. Cambridge University Press; 2018;:1–2.